A two day event from 29th to 30th June 2017 in Canada’s mining capital Sudbury united mining professionals from both sides of the Atlantic. Professionals of the industry and research centered on safety and health, exchanging on insight in research and best practice in safe mining. The Mining Association of Canada and the Canadian German Chamber of Industry and Commerce joined ISSA Mining. Sudbury is home to the largest integrated mining complex in the world. 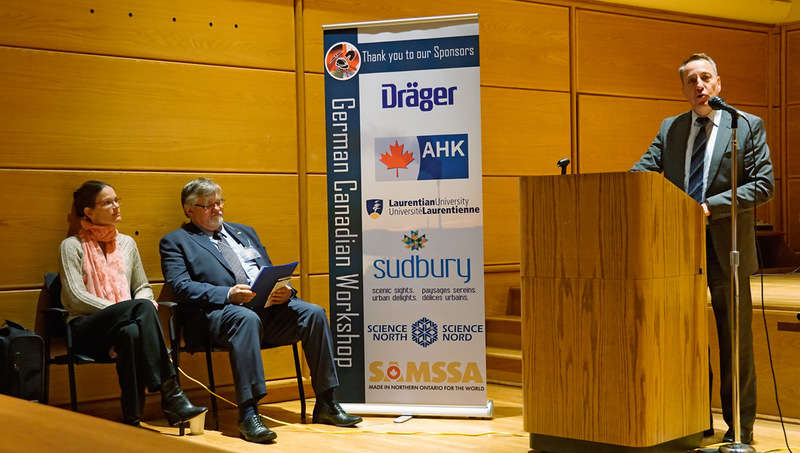 At the heart of Nickel mining, the Competence Centre for Mining and Mineral Resources of the Canadian German Chamber of Industry and Commerce, Toronto, ran the first German Canadian Workshop together with ISSA Mining and MIRARCO Mining Innovation, Sudbury. 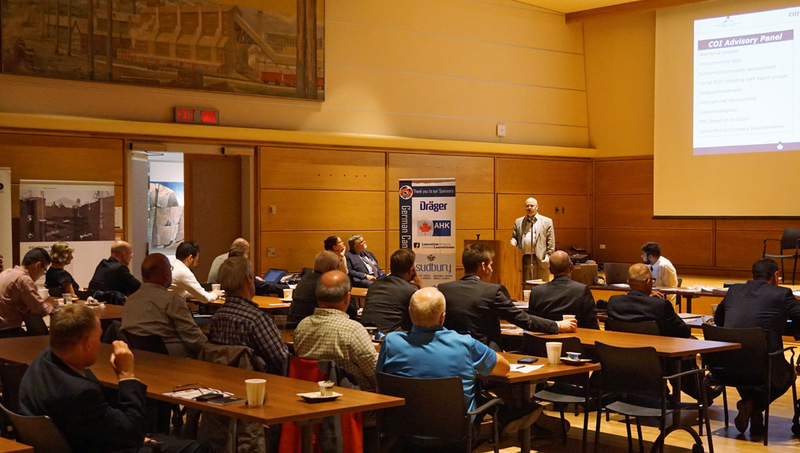 Taking place in the Auditorium at Laurentian University, Canada’s youngest mining university, the workshop brought together around 40 German and Canadian experts primarily from the field of health, safety and prevention in mining. The Canadian German Workshop “Challenges & New Developments for Safe, Productive & Sustainable Mining” in Sudbury was conducted 29th to 30th June 2017 at the Laurentian University. How many fatalities are acceptable? In the Plenary Session “State of the Art Practices for Health & Safety in Mining”, ISSA Mining President Ulrich Meesmann explained how many successes throughout the world show that VISION ZERO is not an illusion (Figure 1), including the examples of the innovation drivers around the Sudbury Basin. He explained how formerly accepted risks are controlled today, and underlined that no other result than zero fatalities and zero severe accidents is ethically acceptable. ISSA Mining Secretary Helmut Ehnes explained how the Seven Golden Rules for Safe and Healthy Mining systematically support companies in reaching the aim of zero harm. The workshop was an opportunity to evaluate not only best practices and benchmark frameworks for health and safety in both Germany and Canada but also to launch a longer term collaboration between Germany and Canada, and, more specifically, between the region of Greater Sudbury and the region of North Rhine-Westphalia. To that effect, a letter of intent was signed between the two regions to officially kick off the cluster-to-cluster collaboration. In Germany, the North Rhine-Westphalia Network Mining Economy (NRW Netzwerk Bergbauwirtschaft) with its over 700 members, will be the main contact to foster collaboration with the region of Sudbury, where the Sudbury Area Mining Supply and Service Association (SAMSSA) and the Greater Sudbury Development Corporation are going to be the main drivers to launch activities within the collaborative framework. North Rhine-Westphalia already extended an invitation for a Canadian delegation to visit Germany and the mining region of North Rhine-Westphalia in 2018. The Mining Association of Canada (MAC) joined ISSA Mining in a signing ceremony during the workshop. Thereby, MAC gets access to the worldwide network of ISSA Mining to promote its benchmark Towards Sustainable Mining (TSM) framework, which was presented by Pierre Gratton, MAC’s president, in Sudbury (Figure 2). ISSA Mining, on the other hand, will be able to work more closely with Canada and introduce its “7 Golden Rules”-Framework to Canadian mining companies and start a dialogue on how zero harm can become a realistic goal in mining in Canada, and worldwide. 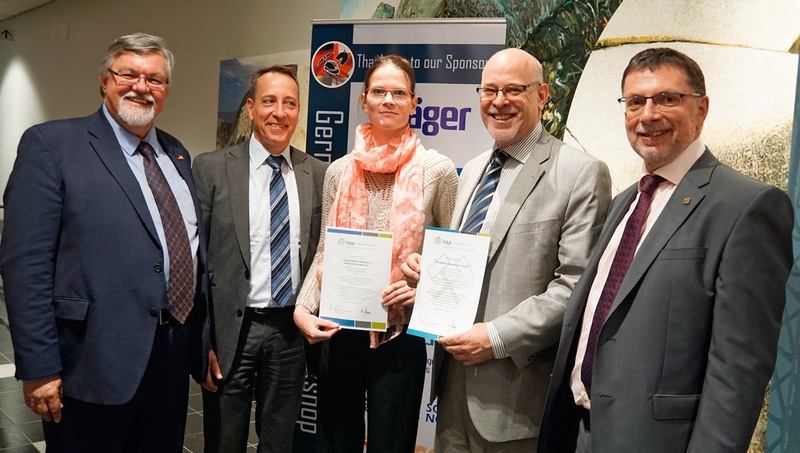 The Canadian German Chamber of Industry and Commerce became a member of ISSA Mining as well (Figure 3), bringing in its competence and connections for the benefit of miner’s health and the economic success of mines on both sides of the Atlantic. An agreement for closer collaboration could be reached between the Technical University Bergakademie Freiberg and Laurentian University. Prof. Helmut Mischo and Viktor Pakalnis were able to sign a Memorandum of Understanding the day after the workshop and are looking to establish a collaboration in research, student exchange, and experiential testing of equipment and technologies in underground test centers in Germany and Canada.